The Chair has a longstanding tradition to cooperate with selected partners from industry, aviation business, ANSP and authories for many years. The cooperation focusses primarily on scientific research projects but also maintaining collaboration in teaching and education. The Chair of Flight Guidance and Air Transport has a long tradition of research cooperation with Lufthansa Aviation Training (LAT). This enables the Chair to use the entire portfolio of available full-flight simulators from LAT for research and teaching. At the locations Berlin-Schönefeld, Frankfurt am Main, Munich and Vienna simulators of the highest certification level JAR-FSTD Level D of nearly all currently in use civil aircrafts (Airbus, Boeing, Bombardier, Embraer) are available and can be used by scientific staff of the Chair. The knowledge gained from many years of work with the full-flight simulator of an Airbus A330/340 of the former Zentrum für Flugsimulation (ZFB) stationed at the ILR could be completely transferred, enabling comprehensive data recording on various of the available simulators. This possibility of conducting research and teaching on fully certified large-scale technical equipment is unique worldwide and has been successfully used in various current research projects in this field. The research cooperation with Jeppesen (a Boeing Company) for the use of various software applications for research and education exists for several years. Jeppesen is a world-wide acknowledged distributer of navigation data and aeronautical charts. Furthermore, Jeppesen provides a diverse portfolio of other product solutions for the planning and operation of civil and general aviation. The Chair has full access to the aeronautical charts of the current AIRAC-Cycles and the professional Electronic Flight Bag (EFB), Jeppesen Flight Deck and the Flight Deck VFR, which was designed for general aviation and can be used on terminal devices (tablets). Additionally, the professional flight planning software JetPlan, which is used by big commercial airlines, is used during various academic courses. Hence, the Chair has a wide range of professional technology available to provide the students with exclusive insight into state-of-the-art products and to use for the preparation and operation of diverse research projects. 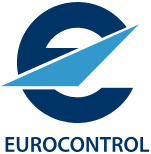 Close cooperation has existed for a long time in the field of research between the Chair and EUROCONTROL. Various research projects in the field of operational flight guidance were performed together through complex experimental series in simulators, where the Chair could benefit from their longstanding experience of handling ultra-complex devices. Part of the research projects are not only the preparation and operation of the full-flight simulators, but also an extensive portfolio of commercial pilots of various airlines as well as the possibility of custom-made navigation databases for testing advanced approach and departure procedures. Many successfully completed and on-going research projects and close cooperation in teaching are the result of many years of cooperation with Deutsche Flugsicherung DFS. Students of the Chair are offered interesting lectures by DFS staff in several courses and the possibility of extensive excursions to DFS locations. In addition, there is the possibility for internships and dissertations to enable students to make a successful transition from studying to working life. An initiative to integrate unnamed aera vehicle (UAV) into civil airspace and acts as a forum for manufactures, users and other relevant stakeholder. The Chair is involved in evaluation of approval-relevant technologies, specification of required technologies. Growing out of an initiative by five European research facilities the Association for the Scientific Research & Development in Air Traffic Management (ASDA e.V.) was founded in 2017 as a registered association, seated at DLR in Braunschweig. Its purpose is the collective realisation of long-term research and development goals and visions in the field of Air Traffic Management. The Chair of Flight Guidance and Air Transport has been part of ASDA since its foundation. Currently ASDA represents 21 research facilities and universities in the Single European Sky ATM Research Programme (SESAR) and organises the annual ATM seminar for its members.